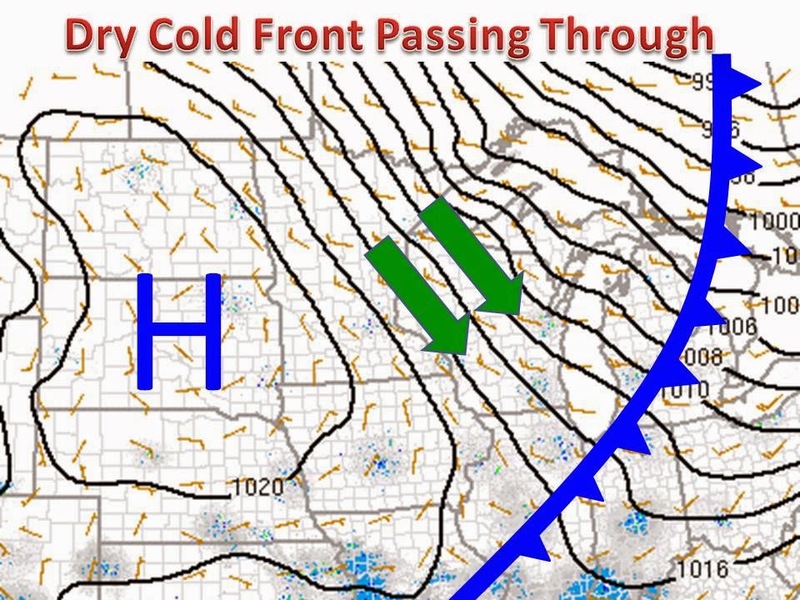 A strong area of high pressure is settling into the Northern Great Plains. With a clockwise rotation around the center, northwest winds are ushering in drier and slightly cooler air from Canada. With a diffluent flow along the cold front, and a maximum in cold air advection, precipitation is not favored. This feature is not cooling the area significantly, but it is keeping temps from reaching into the 70s for almost everywhere, as 850mb temps last night favored this. As the high pushes away, warm air advection will ensue for Monday.